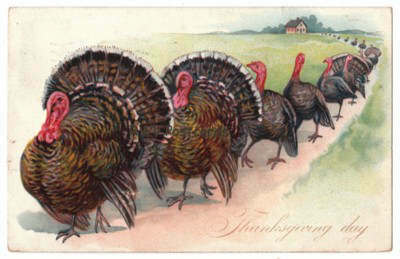 The turkeys have all marched on, so it is time to start Christmas shopping. 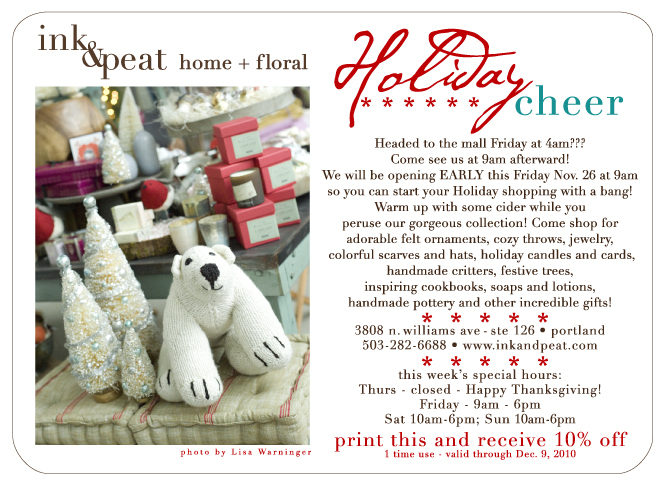 Friday & Saturday, 10 am -6 pm, Second Glance Books is having its Annual Holiday Sale & Open House. Everything in the store is at least 10% off. All holiday books, children's books and cook books are 20% off. Bargain books are 50% off the clearance price. There are refreshments and a chance to win a Second Glance Books gift certificate. Today only, the Multnomah County Librarys' Title Wave Used Bookstore is having a sale with 55% off its' usual low prices. All money goes to the Multnomah County Library. 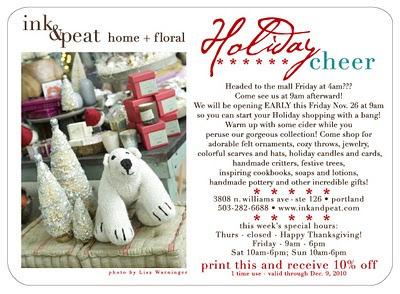 My new favorite non-book store, ink & peat, is open early today and will be festive all weekend. Click the picture to see a bigger, readable version. Remember to print this to get 10% off.